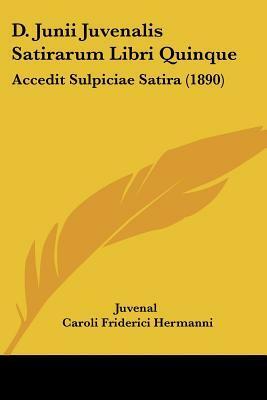 Juvenal Caroli Friderici Hermanni - Decimus Iunius Iuvenalis, known commonly by the shortened Anglicized version of his name Juvenal, was a Roman poet of the late first and early second centuries AD/CE. He is the author of The Satires, a series of sixteen short poems in dactylic hexameter on a variety of subjects.Date of birth: ca. 55 A.D.Date of death: ca. 138 A.D.